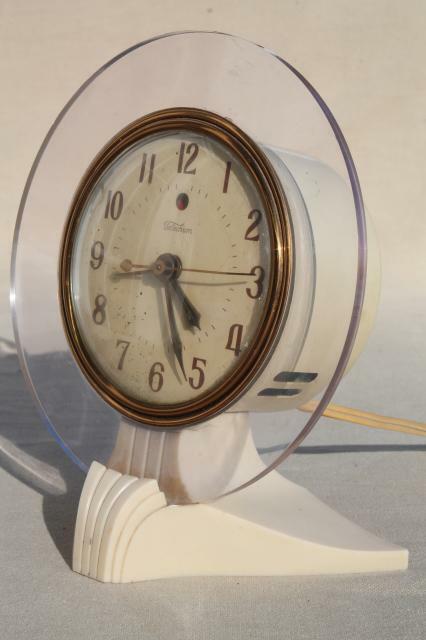 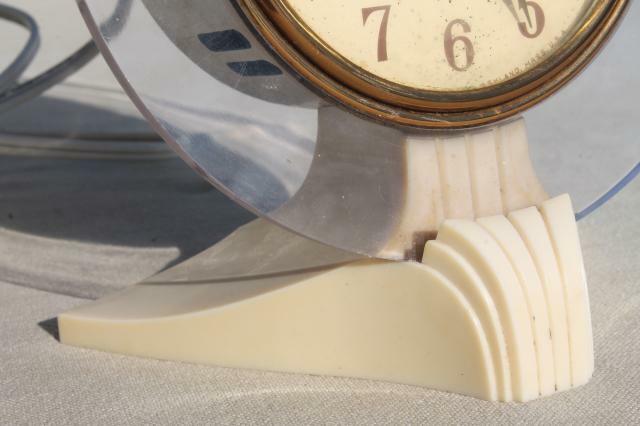 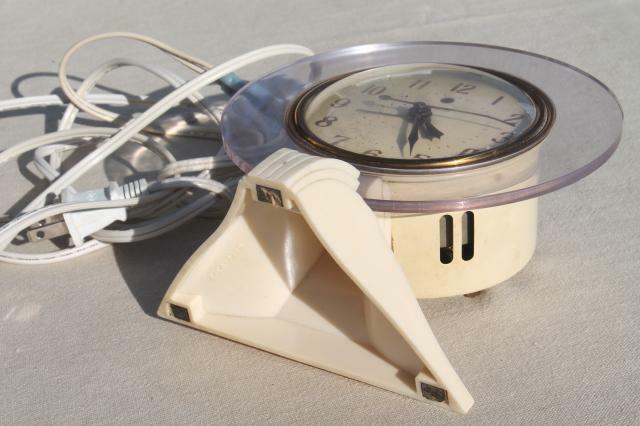 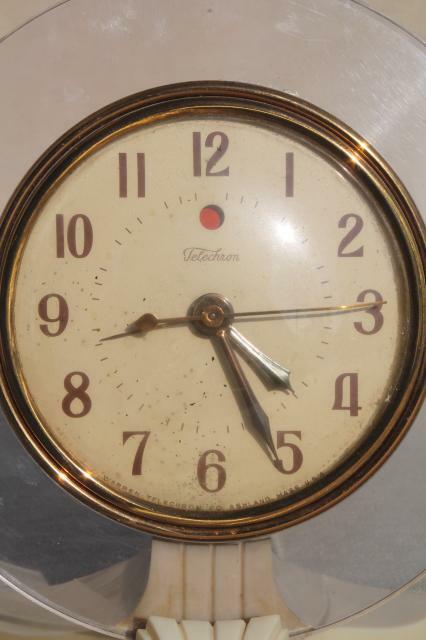 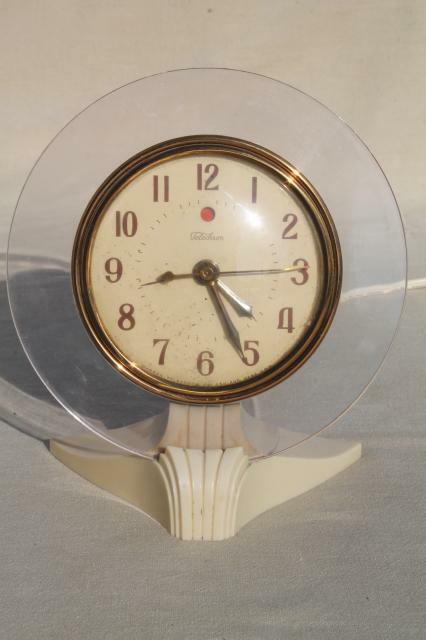 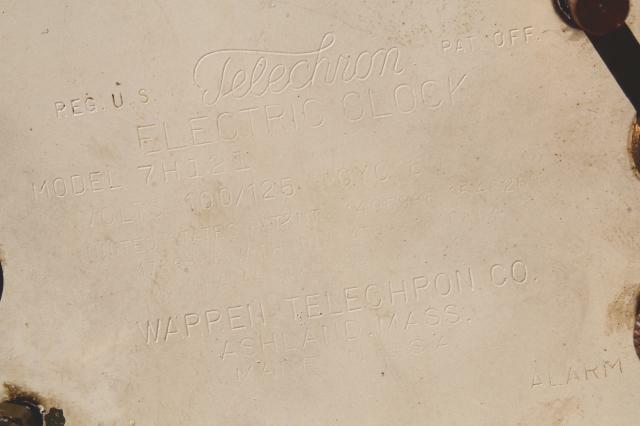 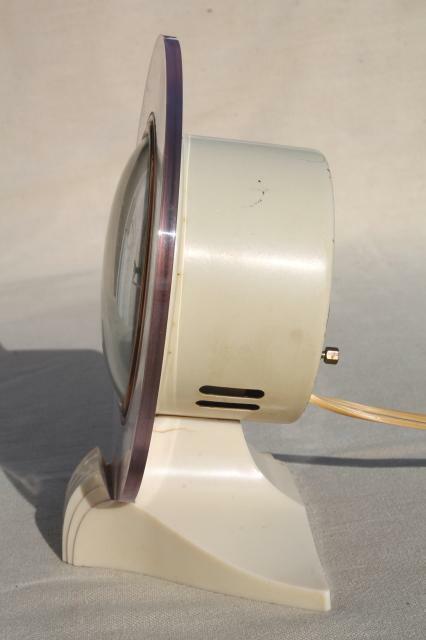 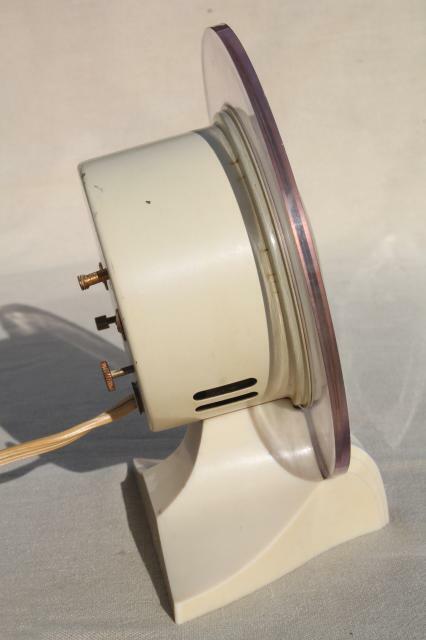 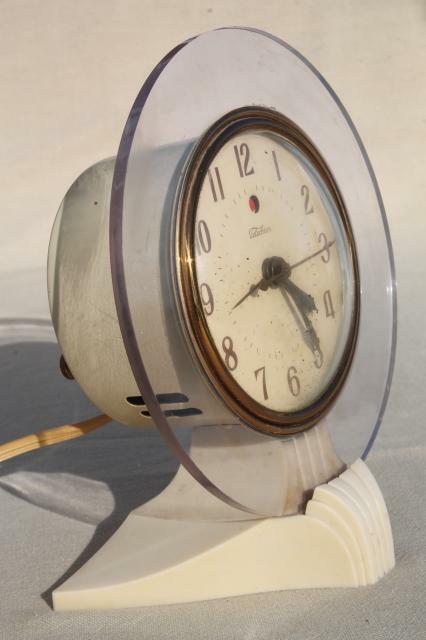 Gorgeous and unusual vintage Telechron clock with clear lucite 'frame' 5 3/4" in diameter. 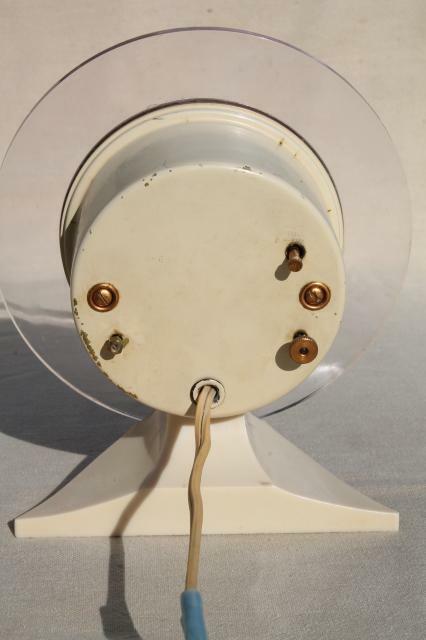 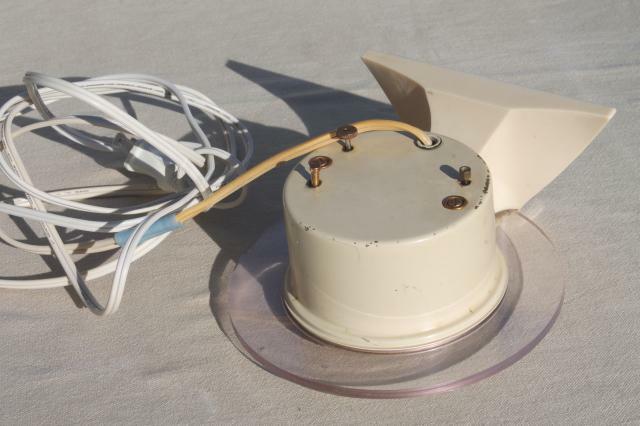 This has a replaced cord with a plug in good, working condition. 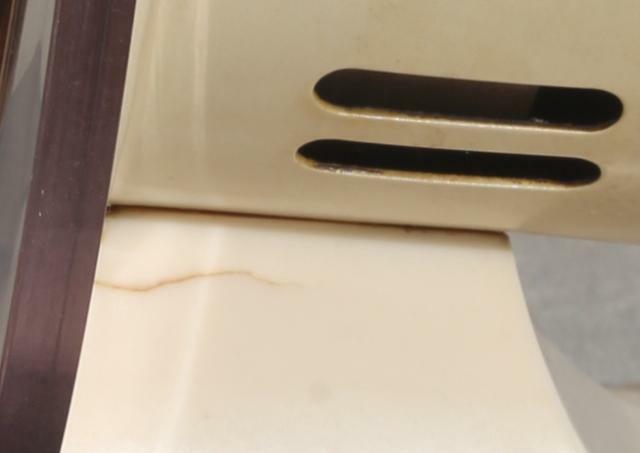 There's a few small marks and flaws to the ivory plastic base, but no other major condition problems aside from an ugly cord!